This is a French Mid-Century Modern period poster for Loterie Nationale by Guy Chabrol. It features a bright, bold image that references a playing card. 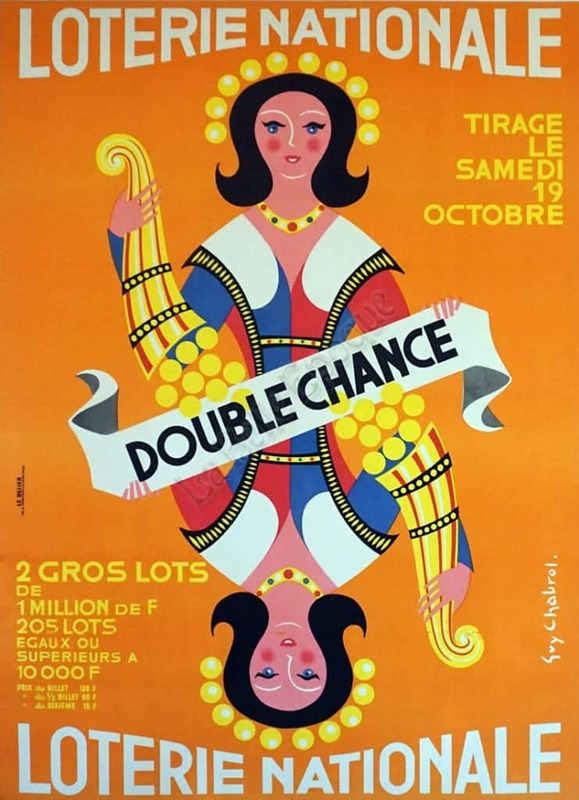 A beautiful multi-colored double-sided woman on a bright orange background. There is block lettering for Loterie Nationale is on both the top and bottom of the vintage poster, with smaller, yellow block lettering in the bottom left, and top right corners. It is a playful and exquisitely made example of a French Mid-Century Modern advertising poster. Printed by Le Belier, Paris 1963.